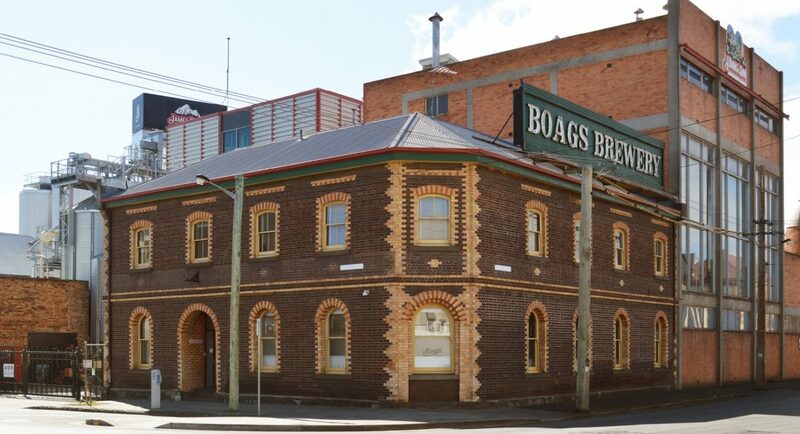 The Boags Brewery in Launceston, Tasmania certainly catches your eye – for all the right reasons..
It’s big, it’s brick and it’s got beer. 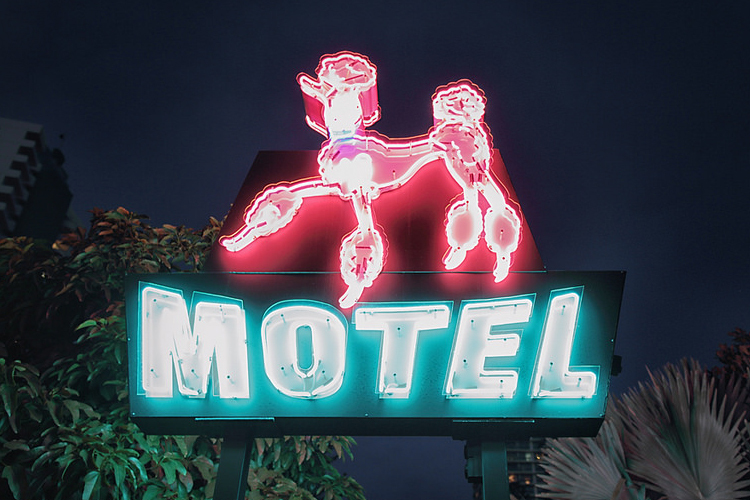 Plus, there’s a great, ol’ neon sign sitting on top which compliments the aesthetics of the entire building. 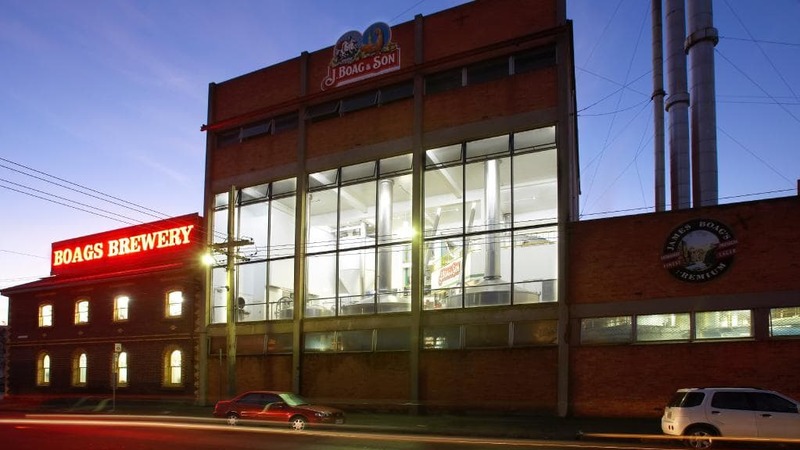 Amongst the locals, it’s known as the Launceston landmark. Location: close to water, exposed to the elements. Accessibility: on top of a building, not easily accessed. 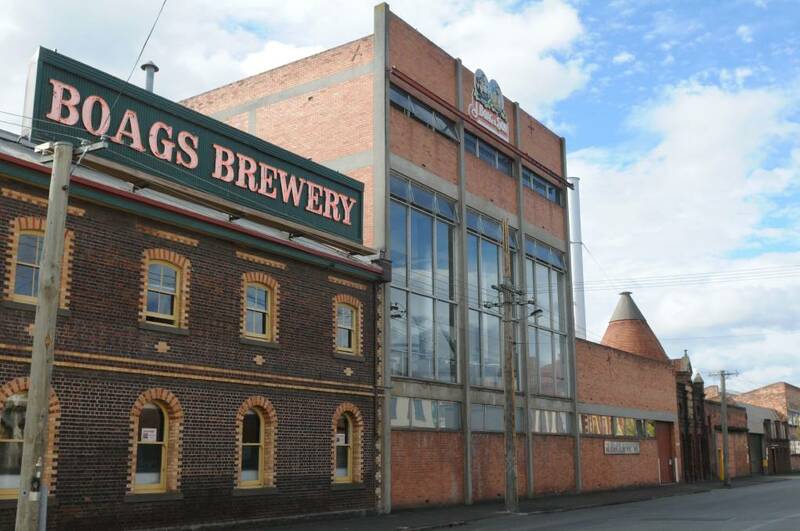 Heritage: existing sign operational for 40 years (! ), recognised as an icon of the area. With these factors considered, although it would be possible, an LED sign was not going to withstand the exposure, would require more regular access and wouldn’t suit the style or heritage of the building. 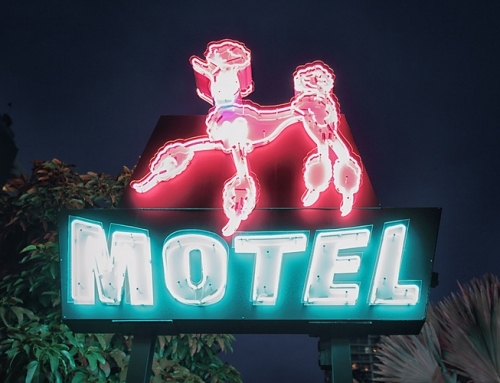 With proper installation and quality materials (see exactly what we did and used here) a neon sign will last decades longer than a LED equivalent and still be just as, if not more energy efficient. 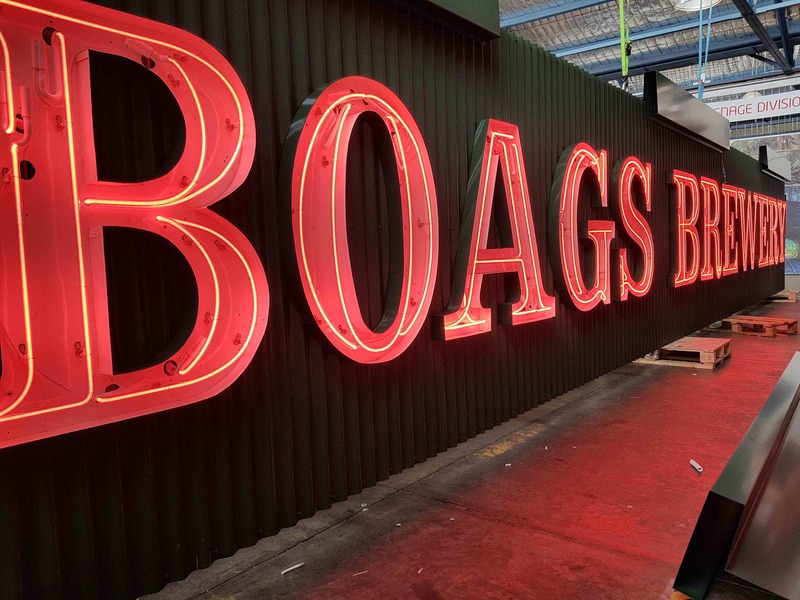 Boags Brewery had already experienced the longevity of neon with the existing sign being up and running for 40 years. In 2017, this iconic sign was taken down. It took 6 months (including a Christmas break) for the entire sign, including metal and paint work to be refurbished and reinstalled. Thanks to some careful consideration and workmanship, we can all look forward to this big, beautiful neon sign being up and running for another 40+ years! 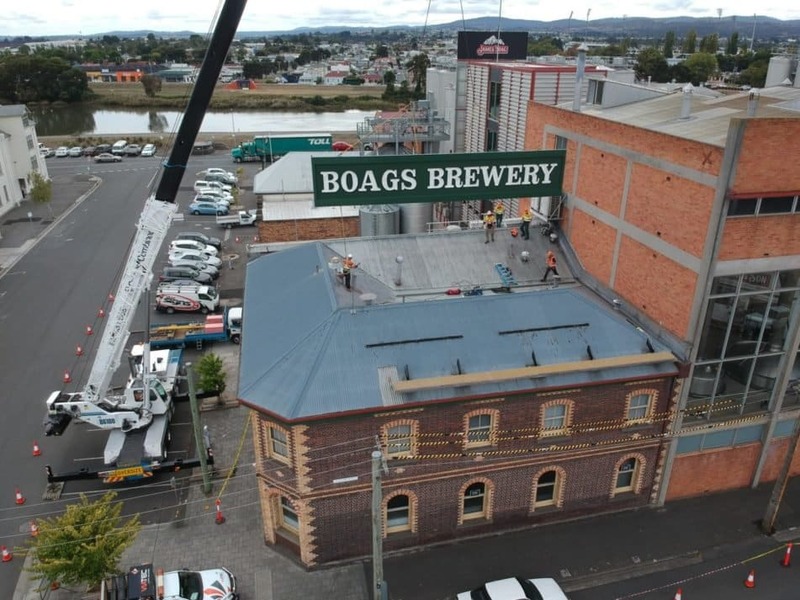 Install / Project / Photo credits: NPA Lighting, Tones Electrical, Doc Signs, Boags Brewery.